Hey, How’s it going? We’re pretty busy with our new Summer Healthy Eating Programme detox and the longer days are definitely coming in handy but you couldn’t call it summer. This afternoon’s been lovely though…..
Vegwise, we’re still in the middle of what’s called the “hungry gap” here in Ireland. It’s the time just before all the summer varieties really kick in. 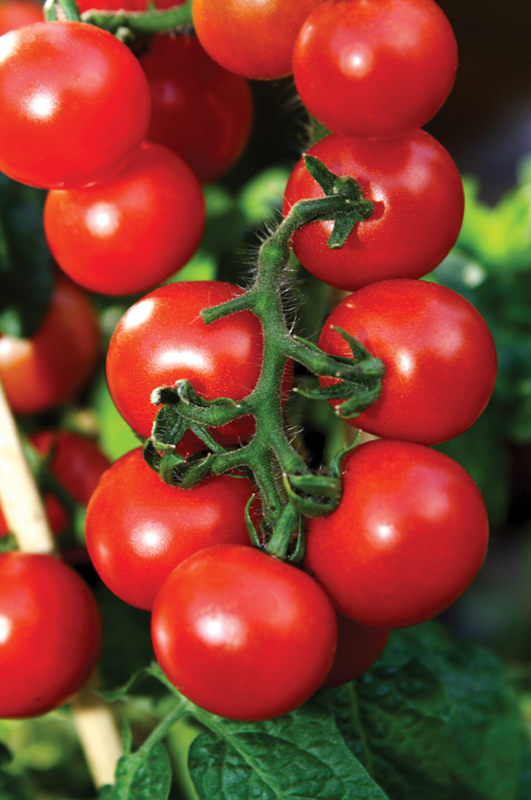 The winter varieties are well and truly finished and there’s a slow trickle of new varieties starting to come through. We’ve already those gorgeous salad greens from Marc Michel and Denis Healy, amazing coriander from Mick Gordon last week and this week Mick brought us his fab spring onions. Now the only question is what to do with them – champ? pad thai? fresh in salads? Slow roasted? Maybe dipped in romanesco (The Natural Sauce Company based here in Dublin do a great one) . Last night I made a lovely fritatta with the bulbs which I gently sautéed in butter. 20 minutes will get them gorgeously melting then some of your favourite cheese (I used a Pecorino but it’s up to you). With the bunch in this week’s bag you could use 6 eggs for the fritatta and feed up to 5 people. Add some spuds and you’d feed 8. Depends on how many come to dinner…. Also fritatta keeps well (but outside the fridge as cold does something strange to it) and makes fab sambos so you can never make enough in my book. I used the rest of the onions i.e. 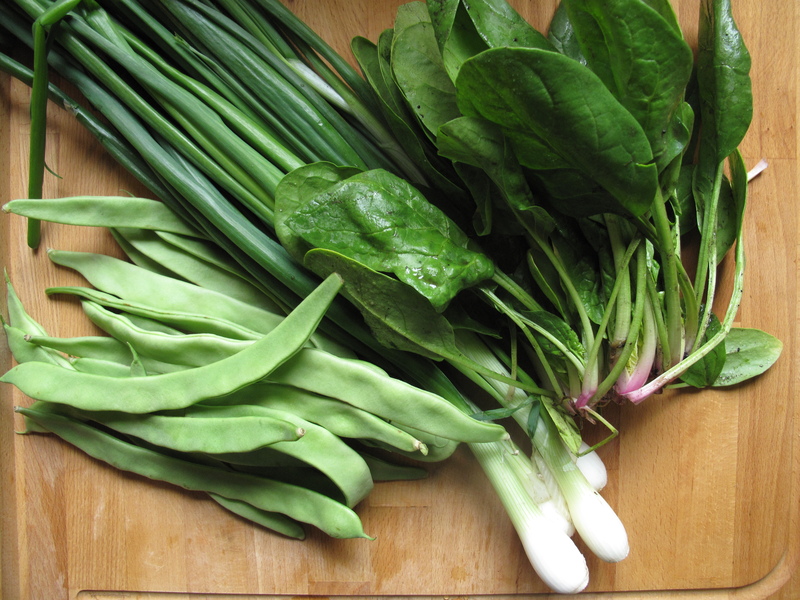 the green stems to make a salad along with this week’s beautiful spinach and flat beans. Tempted as I was to toss those beans with chorizo after a light steaming they were so spanking fresh that it seemed a shame to waste their lovely nutiness so I used them raw for this salad and was very glad I did. I’ve been playing around with nut dressings of late – roughly grinding them, then adding them to dressings so you end up with a paste more than a dressing. It’s great, really adds lots of crunch and flavour, aswell as all the amazing goodness that nuts and seeds have to offer. For this dressing I toasted sunflower seeds then stirred them into olive oil and lemon juice. To counteract any bite from the onions I added a little honey. Yum Yum. The whole thing works so well with the fritatta but try it with any veggie main, we’re addicted – Walnuts in a dressing for asparagus in particular is a match made in heaven. Prepare the dressing by toasting the sunflower seeds on a dry pan til just starting to change colour. Allow to cool slightly then grind in your blender to a coarse texture – a few bits don’t matter at all and you definitely don’t want anything powdery. Combine about 5 tablespoons olive oil with the juice of a lemon adding a pinch of Maldon salt and a scant teaspoon of honey. Stir in the sunflower seeds and mix to a paste. If things seem too thick add a little more oil. You want the consistency of a good pesto. To put the salad together, toss the spinach with the beans and onions. Spoon the dressing on top along with a scattering of seeds. Serve with ……..anything! There were quite a few leftover flat beans after last Friday’s then last Monday’s delivery runs so we’ve been having them every which way since then. Steamed with a drizzle of olive oil, steamed and smothered with garlic butter (nom! ), raw and chopped up small and tossed into salads with toasted seeds, with noodles and Parmesan for a mega quick dinner, Asian style with ginger dressings…. 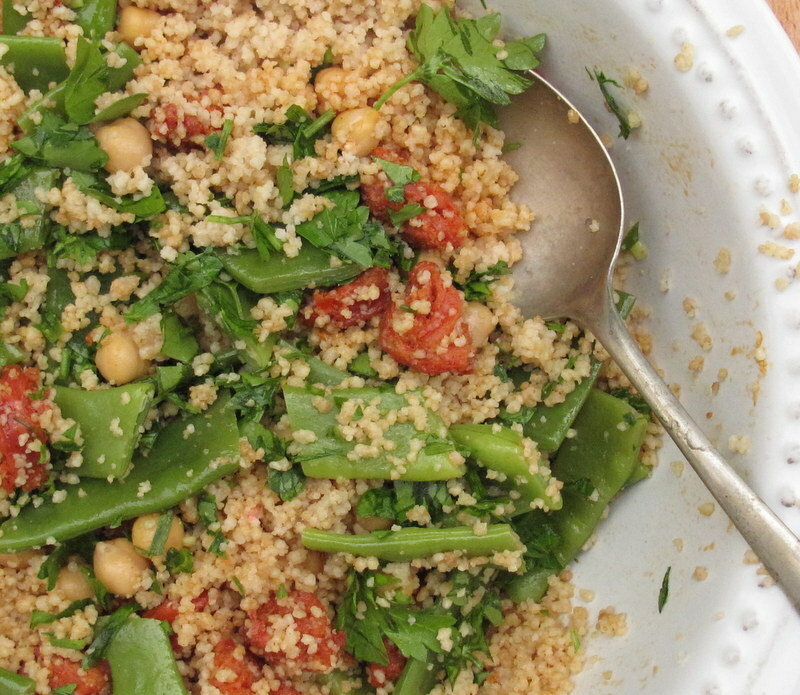 All good but this week’s recipe is still one of my favourite ways to eat them – in a cous cous salad with some pan fried chorizo, a couple of handfuls of chickpeas, a really big handful of flatleaf parsley and, optionally, some crumbled feta. It’s a dish that makes perfect sense to me, everything complements everything else and the result is so satisfying. Begin by cooking your beans. Cut them in three so you have pieces about an inch and a half long. Drop into boiling water and cook until tender. Drain, rinse under cold water and set aside. Prepare 1 cup of cous cous. 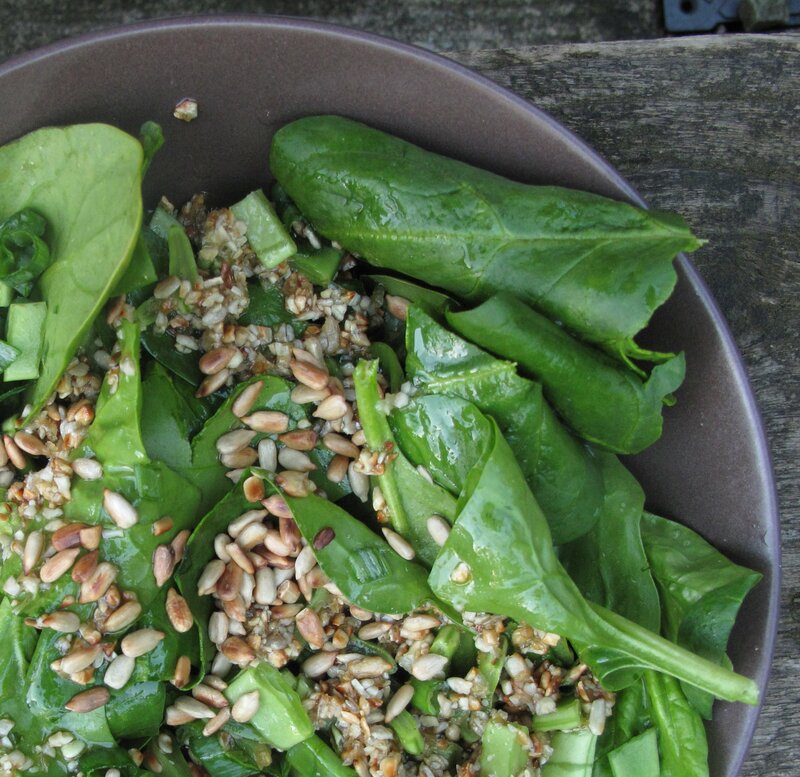 My method involves toasting the grains on a dry (i.e.. no oil) frying pan over a medium heat and this gives them a lovely nutty flavour which adds to your final dish. When they start to turn golden add 2 cups of hot water, turn off the heat and stir until all the water is absorbed and the cous cous is cooked adding more water if necessary. If you find the grains are still undercooked simply turn on the heat again, add more water and cook until absorbed and the grains are done. Add the chickpeas and onion and mix through the still warm cous cous. Season and set aside. Roughly chop the chorizo and gently sauté in a little olive oil for a few minutes before adding the beans. Toss everything over a medium heat for another minute then mix into the cous cous making sure to get as much of the chorizo oil from the pan as possible. Dress with a little olive oil, lemon juice and red wine vinegar to taste.